Is there a way to align a pointer in C? Suppose I'm writing data to an array stack (so the pointer goes downward) and I want the next data I write to be 4-aligned so the data is written at a memory location which is a multiple of 4, how would I do that? but C doesn't allow modulo on pointers. Is there any solution that is architecture independent? Arrays are NOT pointers, despite anything you may have read in misguided answers here (meaning this question in particular or Stack Overflow in general — or anywhere else). You cannot alter the value represented by the name of an array as shown. Arrays as parameters to functions are different from arrays defined either outside a function or inside a function. This only works correctly if the LHS is a power of two — not for arbitrary values. The code with modulus operations will work correctly for any (positive) modulus. See also: How to allocate aligned memory using only the standard library. The code for a power of two breaks if I try to align e.g. uintptr_t(2) up to a 1 byte boundary (both are powers of 2: 2^1 and 2^0). The result is 1 but should be 2 since 2 is already aligned to a 1 byte boundary. This code demonstrates that the alignment code is OK — as long as you interpret the comments just above correctly (now clarified by the 'either or' words separating the bit masking operations; I got caught when first checking the code). The alignment functions could be written more compactly, especially without the assertions, but the compiler will optimize to produce the same code from what is written and what could be written. Some of the assertions could be made more stringent, too. And maybe the test function should print out the base address of the stack before doing anything else. ** inline might be useful. DO NOT USE MODULO!!! IT IS REALLY SLOW!!! Hands down the fastest way to align a pointer is to use 2's complement math. You need to invert the bits, add one, and mask off the 2 (for 32-bit) or 3 (for 64-bit) least significant bits. The result is an offset that you then add to the pointer value to align it. Works great for 32 and 64-bit numbers. For 16-bit alignment just mask the pointer with 0x1 and add that value. Algorithm works identically in any language but as you can see, Embedded C++ is vastly superior than C in every way shape and form. @param  ptr The address to align. /** Word aligns the given byte pointer up in addresses. @param ptr Pointer to align. For detailed write up and proofs please @see https://github.com/kabuki-starship/kabuki-toolkit/wiki/Fastest-Method-to-Align-Pointers. If you would like to see proof of why you should never use modulo, I invented the world fastest integer-to-string algorithm. 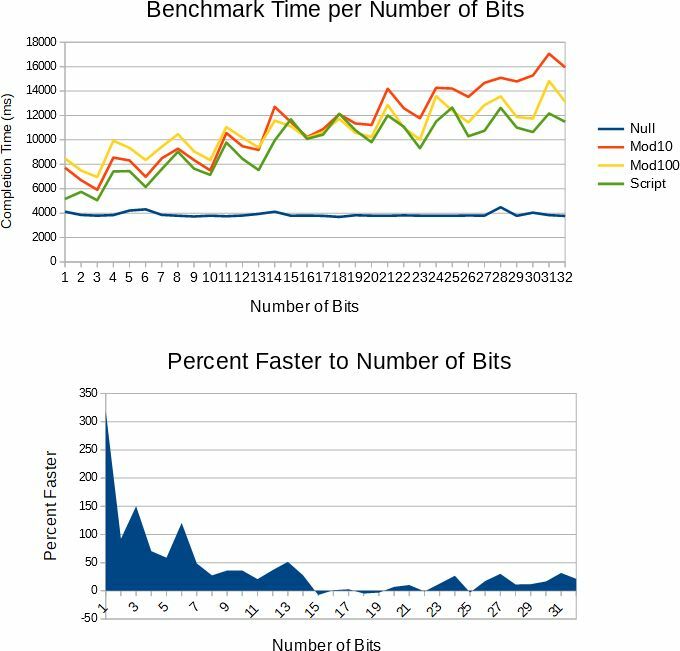 The benchmark on the paper shows you the effect of optimizing away just one modulo instruction. Please @see https://github.com/kabuki-starship/kabuki-toolkit/wiki/Engineering-a-Faster-Integer-to-String-Algorithm. I'm replying to Jonathan Leffler's criticism in order to clarify my intent. The code below is not meant to imply you can change the value of an array (foo). But you can get an aligned pointer into that array, and this example illustrates one way to do it. Not the answer you're looking for? Browse other questions tagged c pointers alignment or ask your own question. (ptr + n-1) & -n what does this expression do? Any legal way to reinterpret a char * as an array of another primitive type for read-only operations? How to free aligned pointer?